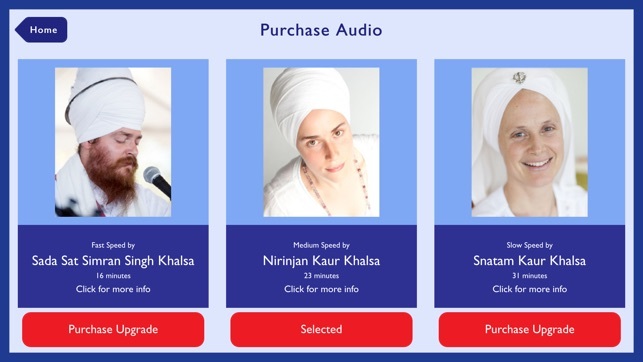 This new expanded version of our app allows you to “Select Audio” with three possible audio recordings of Japji by Snatam Kaur, Nirinjan Kaur and Sada Sat Simran Singh. 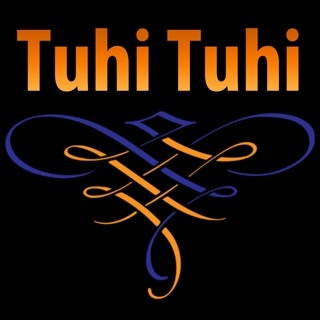 These recordings have very authentic and accurate pronunciation. Each audio is at a different slow, medium or fast pace. The slow audio will be perfect to learn Japji. 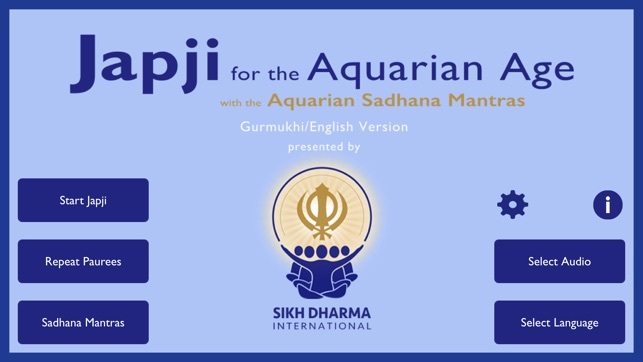 The medium is for the intermediate reader and the fast audio is perfect if you are very familiar with Japji. 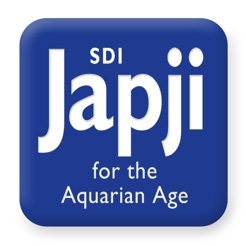 The app highlights the line of Japji as it is recited in the audio. You can “Select Language” to choose English transliteration, English translation, Gurmukhi or any combination. 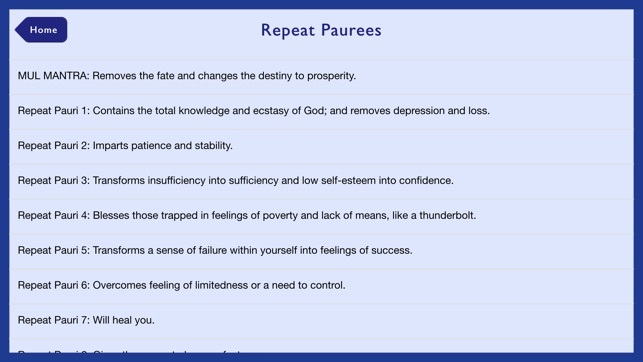 You can choose to read along with “Repeat Paurees”, choosing any of the 40 sections of Japji to repeat 11 times. Or you can simply read Japji at your own pace by swiping the pages right to left. 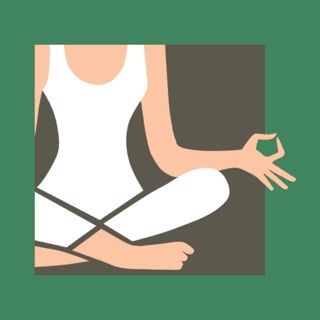 This app also has all the words for the Aquarian Sadhana mantras that you can read along with in any darkened room as your device screen is illuminated. In Japji Sahib, Guru Nanak touches the deepest essence of individual consciousness, elevating one to the universal consciousness. 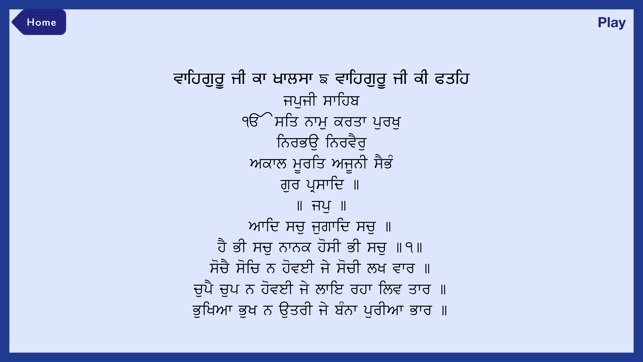 The reciting of Japji aloud transforms through the powerful Naad vibration of these sounds. Recite it, connect to it and feel the power of it like never before! Fix - Navigation issue in start japji page. 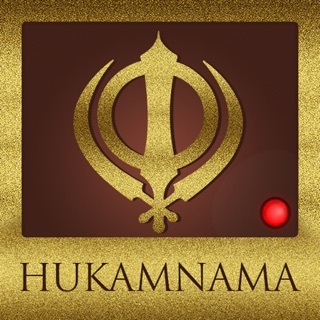 This is the best app for recitation and use it daily for Aquarian Sadhana. 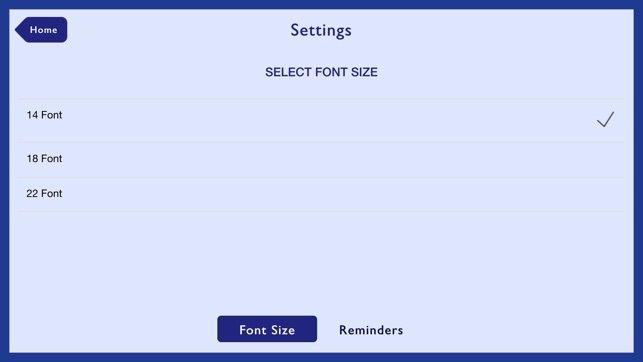 If you could add a option to slow down the recitation for learning it would greatly improve this app for beginners.